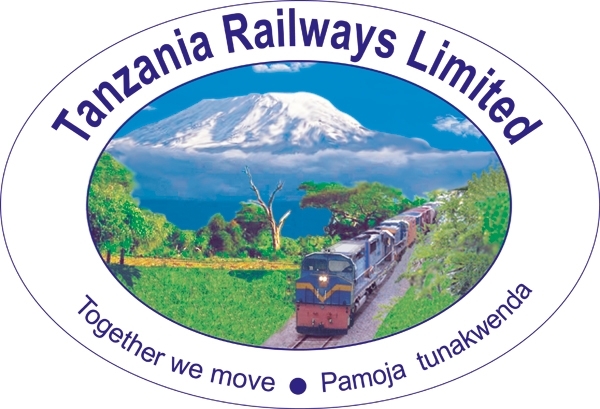 The Tanzania Railways Limited (TRL) was established on 25th May 2007 and started its operations on 1st October 2007 and is mandated by the Company Ordinance Act 2002 to provide Railway Transport Operational Services in Tanzania. TRL is currently owned 100% by the Government of Tanzania. ii. To carry out maintenance of wagons & coaches in workshops & CXR depots. iii. To carry out train examination in yards. v. To perform any other duties that may be assigned by supervisor. Form four certificate with at least three passes in science subjects holding a Certificate in Carriage and Wagon Technology obtained from Tanzania Institute of Rail Technology or Class III Railway Trade Test in relevant field from any other recognized Railway College. Attractive remuneration package in accordance with TRL salary structure. i. Conduct Clinical diagnosis and treatment of patient common diseases. ii. Carry out preventive and promotive health care. iii. Prepare monthly disease statistics. v. Provide VCT and other HIV/ AIDS services. vi. To perform any other duties as maybe assigned by supervisor. Holder of Diploma in Clinical medicine from recognized Government Institution. i. To signal, receive and dispatch trains. ii. To assist the Station Master in ensuring that trains and traffic working at the stations are done expeditiously according to the rules and regulations. Holder of Form VI Certificate with at least one principal passes and two subsidiaries and has acquired Division II Certificate in Station Masters Course or NTA Level6,in Railway Transportation. ii. To assist District officers & Works Manager in the maintenance of plants and other equipments. Holder of a degree in Mechanical Engineering or its equivalent from a University or Institutions recognized by TCU/NACTE. Computer literacy is mandatory. i. 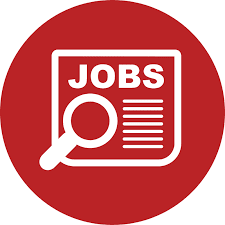 To discharge duties of Stores and Supplies Officer. ii. To coordinate with user department on stocking levels. iv. To coordinate procurement with suppliers. v. To maintain list of GPSA registered suppliers & other vendors and appraising their performance. vi. To maintain and update catalogue. vii. To initiate survey and disposal of obsolete items. x. To prepare tender documents with PMU. xi. To perform any other duties as maybe assigned by supervisor. Holder of a Degree or Advanced Diploma in Procurement and Supplies or equivalent qualifications with registration in graduate category from institutions recognized by PSPTB. Computer literacy is mandatory. i. To assist the Senior/Principal Commercial Officer in the administration of documentation and accounts section. ii. To scrutinize credit accounts. Holder of University Degree in Business Administration in Commerce, Marketing and Economics or equivalent qualifications from the Institutions recognized by TCU. Computer literacy is mandatory. i. To carry out data collection and analysis. ii. To carry out work, organization and method studies. iii. To implement agreed changes in the Company. iv. To analyse operating system and procedures with a view to detecting potential areas for improvements. Holder of a Degree in Economics, Transport, Finance, Industrial Engineering or equivalent qualifications from recognized institution by TCU. Computer literacy is mandatory. i. To handle legal matters pertaining to claims against the Company in consultation with the ~ail Transportation, Commercial and Supplies Departments. ii. To be the member of Claims Committee as directed by the immediate superior to administer affairs of the progress of implementation of the decision. iii. To represent the Company in legal institutions regarding cases of minor nature and follow up lawyers, legal institutions include courts, Commissions, Board, Tribunals and others pending with the instructed lawyers in law firms. iv. In liaison with the Civil Engineering Department to negotiate \ terms of leases and purchases of buildings and other properties, scrutinize leases and transfers of properties and buildings (conveyancing), to effect registration of leases and transfer or properties in liaison with the land officer and participate in negotiations for writing up of general contracts e.g. Maintenance and purchases to appraise reports from the Security Unit with a view to rendering legal advice on the nature of action to be taken by Company. v. To perform any other related duties assigned by the immediate Supervisor. Must be a holder of a recognized University Degree in Law (LLB) and a registered Advocate of the High Court. Computer Literacy is mandatory. Holder of degree in Civil Engineering, Track Technology or equivalent qualification from recognized institutions by TCU/NACTE. Computer literacy is mandatory. v. Applicants employed in the Public Service should route their application letters through their respective employers. vi. Applicants who have retired from the Public Service for whatever reason should not apply. Note: Hand delivery submissions will not be considered. Tanzania Railways Limited is an equal opportunity employer.